Big data and machine learning applied to materials science and engineering. 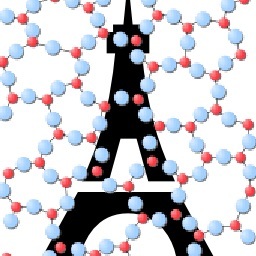 The candidate will work in the group of Prof. Bauchy at UCLA, in strong collaboration with other computational students/postdocs in PARISlab and experimental students/postdocs/faculty in the Laboratory for the Chemistry of Construction Materials (LC2). Active collaboration with other members of the laboratory with complementary expertise (both in modeling and experiments) is encouraged and expected. We are specialized in the modeling of disordered materials of engineering interest. Our group adopts an aggressive publication strategy and targets high-impact journals. More information can be found at: http://www.lab-paris.com and http://www.lcc-ucla.com. For consideration, applicants should possess the following qualifications or attributes: (a) a B.S. or M.S. degree from a reputable university in a related thematic area and an interest in pursuing a research career, (b) a strong interest in programming and computational approaches, (c) a fundamental understanding of material science, thermodynamics, and inorganic chemistry, and (d) an interest in working in an interdisciplinary research environment. Applicants with relevant experience will be given special preference. The successful candidates will be expected to take personal initiative to structure tasks to meet project goals, network and communicate with other partners involved in the project, mentor undergraduate students, author innovative/impactful publications, and report results at international conferences. The positions are funded for a period of 3-to-5 years. If you meet the above requirements and are interested in this position, please provide by email (bauchy@ucla.edu) a detailed resume, a short personal statement explaining your scientific and research interests, and contact information for three referees in support of your application (as PDF files). Recruitment will remain open until the positions are filled.